Grand designs in desperate need of a thoughtful touch. Rebuild the destroyed relics of miniature floating islands by solving three-dimensional geometry puzzles. Think fast – as each block drops from the sky you’ll have only a limited time to line it up and place it correctly. Get all the blocks in place and complete successive challenges to rebuild a selection of charming little worlds. Twelve puzzles await you on each of the four islands; complete all of them to unlock a fifth “Zen” island. 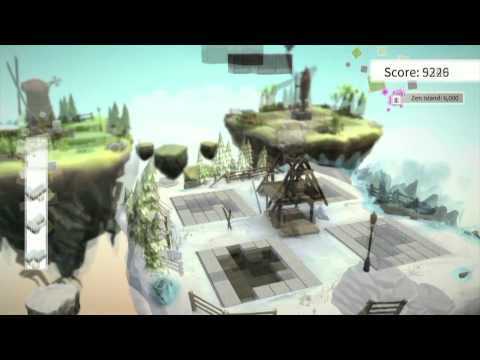 Piecefall was developed by students of Sheffield Hallam University as part of the PlayStation First programme. This unique initiative supports registered universities with the tools to help develop the next generation of industry talent.